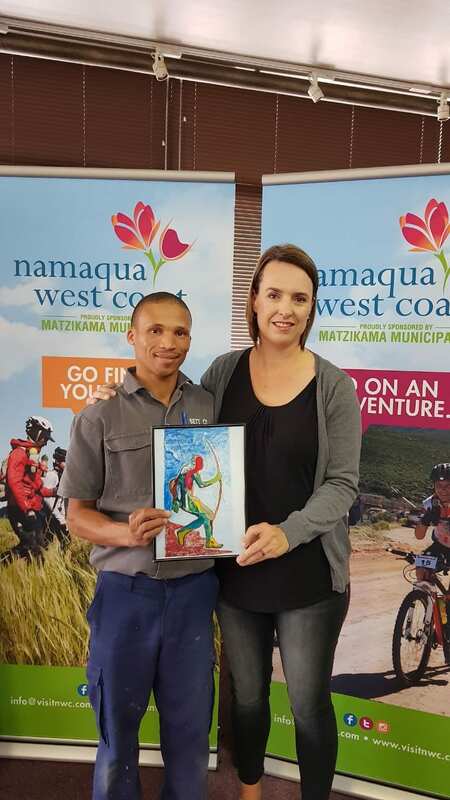 The art of Namaqua West Coast local Donovan Stevens will enjoy pride of place as the artwork on the trophies at the renowned Expedition Africa 2018 adventure race, which takes place in the Namaqua West Coast region from 18-27 May 2018. Athletes from 22 countries will participate in the epic challenge this year as they race unsupported across more than 500 km of arduous terrain, using disciplines including navigation, trekking, MTB, kayaking and mountaineering. Stevens’ “body map” was selected following his participation in a local project curated by visual artist Desirée Brand. Brand, who has been involved in visual art practice and development for two decades, facilitates body mapping workshops to promote social cohesion. Some 30 participants, including farm labourers and township residents were involved in the competition requiring they trace their silhouettes and fill them with illustrations of their personal histories. “Donovan’s body map tells a riveting story that is filled with hardship and hope. In many ways it reflects the spirit of Expedition Africa 2018 Namaqua West Coast,” says Namaqua West Coast tourism manager Monika de Jager. 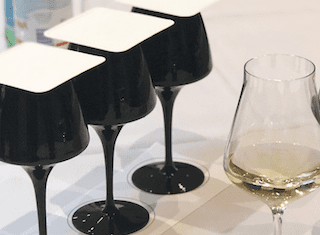 The artwork will serve as the label design on a special wine created by Namaqua Wines and to be awarded to the winners and participants of the event this year. The mosaic will be unveiled on the first day of Expedition Africa 2018 Namaqua West Coast at Letsatsi Lodge in Van Rhynsdorp. The town’s museum will also be where Donovan Stevens’ 2.5 m x 1.5 m artwork will go on display. It takes the form of a man with a bow, generally associated with the traditions of the indigenous local population. “The piece wonderfully expresses our region and is a fitting tribute to the Bushman, Khoi and San traditions of the Namaqua West Coast,” says De Jager. A total of 52 teams will take part in Expedition Africa Namaqua West Coast this year with teams from countries including the US, UK, Russia, Switzerland, France, Japan and Norway lining up at the start. 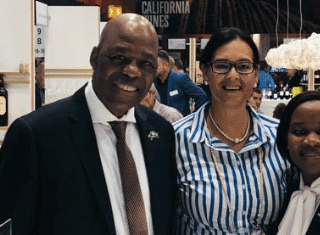 The event is presented by diversified mining company Tronox Limited and Namaqua West Coast Tourism in association with stakeholders Matzikama municipality, Namaqua Wines, Klawer Cellars and Lutzville Vineyards. 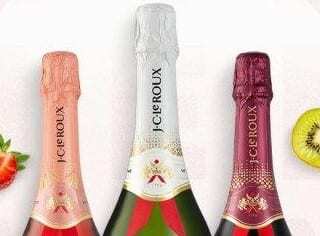 It is endorsed by West Coast Tourism and provincial tourism, trade and investment promotion agency Wesgro. For more information about Expedition Africa, visit www.kinetic-events.co.za or Facebook. Get more information about the Namaqua West Coast at www.visitnwc.com. Follow the tourism bureau on Twitter @namaquawestc and Facebook.